Set up a Google Search Console that sends alerts on any issues that Google experiences while indexing the website and also provides stats regarding website visits through searches. If a website visitor gets an alert from Google Chrome, or any other browser, stating that your site is insecure, you should understand your website has been hacked and infected with malware. It is indeed obvious that your website is visited more frequently by your visitors than you yourself. If a hack happens, it would most probably be a customer who first identifies it and then informs you even before you receive an alert or Google detects the infection. Hence, when a customer contacts you and informs you of a hack, you should first inform the customer that necessary action is being taken. This should be followed by taking your website offline for repair and avoiding further damage to anyone. Reliable malware scanners, like cWatch from Comodo, alert you if your website has been hacked/infected. A number of website owners opt for this method since this mostly has the shortest time between getting infected and the discovery of the hack. In case a hack/infection is detected, you will then receive an alert via email. Hence, you will have to keenly watch out for alerts and make sure not to ignore alert messages just because you keep getting too many. You can actually set which kinds of alerts you should receive. Besides clean your website and get it back on track, Comodo cWatch is also capable of preventing your site from getting infected in the very first place. 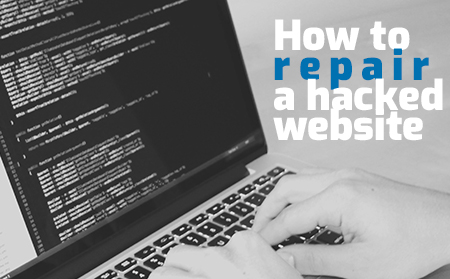 Most website owners need help with cleaning a hacked site after discovering that their site is hacked because their browser is alerting them when they visit their own site, or their hosting provider took their site offline. This is a devastating issue since it highlights the fact that your site has been infected long enough for the hackers to do damage. The damage brought about by these hackers caused a hosting provider to shut off the site or caused Google to discover that the site is hosting malware, a phishing attack or SEO spam. Comodo cWatch and Comodo Web Inspector have been designed to check and prevent website hacking. Comodo Web Inspector is responsible for scanning a website using improved cloud-based malware scanning technology. It monitors a website for blacklisting and provides a warning before a website gets blacklisted. It also detects security holes and vulnerabilities and looks out for malicious codes on a website. It is available with features such as Blacklist Monitoring, PCI Compliance Scanning, Trust Seal and Customer Support and Daily Malware Scanning to mention a few.